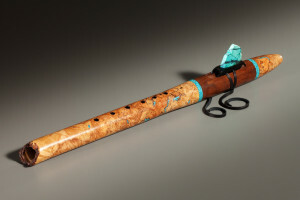 Of the many gifts bequeathed to the broader world community, the Native American flute embodies one of the most tangible. Arising out of the indigenous peoples from lands now called the United States and Canada, this hauntingly beautiful musical instrument has seen a renaissance and popularization in the last fifty years, and especially since the 1980’s. Many recognize and enjoy the flute playing of R. Carlos Nakai who, perhaps more than anyone else, raised the profile of the native flute within the broader culture. Other Native American luminaries helped as well and deserve our gratitude. We do so elsewhere on the website. View our 2-minute video to get a quick look at some of the flute styles and woods and to experience the rich mellow sound of the cedar flute. Just the right wooden flute sits ready for your picking at Carolina Wooden Flutes. Your flute’s artisan handcrafts his flutes to an exacting standard for visual beauty and precisely tunes them for a warm, rich, mellow and meditative sound. 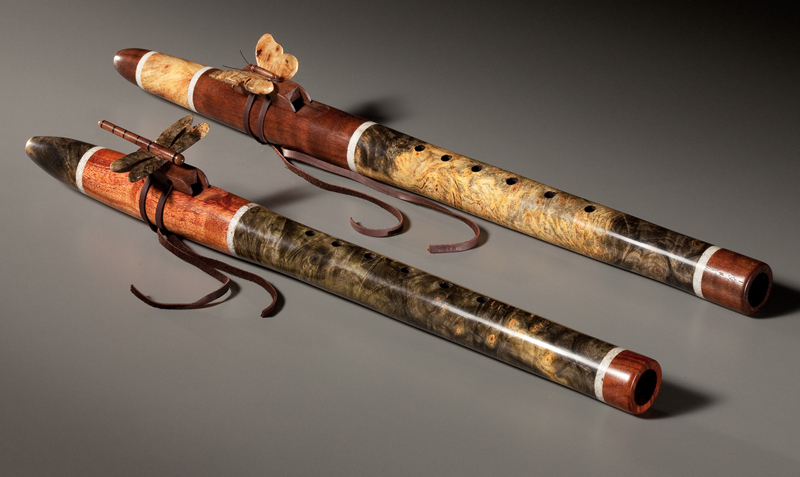 The first thing you’ll notice about your Native American style flute is its exquisite visual beauty. It’s like holding a small sculpture in your hands. The combination of the wood chosen for its character and color, the shape and decorations will not only please your aesthetic sensibility, but make you the joyful owner of a visually appealing musical instrument. The moment you first blow into your flute, you realize you’re making a sound that people resonate with deeply. I have seen children go slack-jawed and adults enter a peaceful, meditative mindset. When you slide your flute out of the soft cloth bag, your hands experience the smoothest of smooth surfaces as well as the contours and heft all its own that you’ll come to know intimately. In addition you’ll note that covering all six holes comes easily to any size hand. If you’re blessed with a discriminating nose, you’ll recognize the individual elements that make up the pleasant “woodsie / waxy” fragrance much like an accomplished wine taster names the ingredients in the wine. When you take in your flute’s aroma, you’ll notice one “note” comes from the type of wood your flute is made of and another “note” tells of the pleasant, natural finish. Well, 4 out of 5 is pretty good. Will you take beautiful look, beautiful sound, beautiful feel and beautiful aroma without the beautiful flavor? Your flute will taste neutral and a neutral taste is a great flavor compared to a bad taste. The non-toxic finish, including bees and Carnauba wax, makes for a pleasant blowing experience with no unpleasant after-taste. 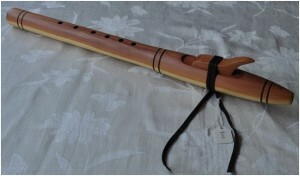 Broadly speaking there are two types of native flutes: plains and woodlands. Our flutes fall into the woodlands Native American style of native flutes. 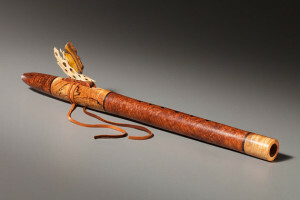 The craftsman for the exquisite flutes we offer is not a member of a federally recognized Native American tribe. As such, we do not claim these flutes are “Native American Made”. 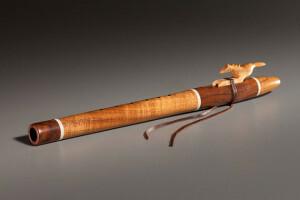 The term “Native American flute”, as used on this site, refers to the name of the wooden musical instrument and not specifically to the products we offer. © BookSpring, Inc. 2013 to 2019. All rights reserved.